One of the first things I tried on my trip to Nicaragua this past Fall was a Macuá cocktail. 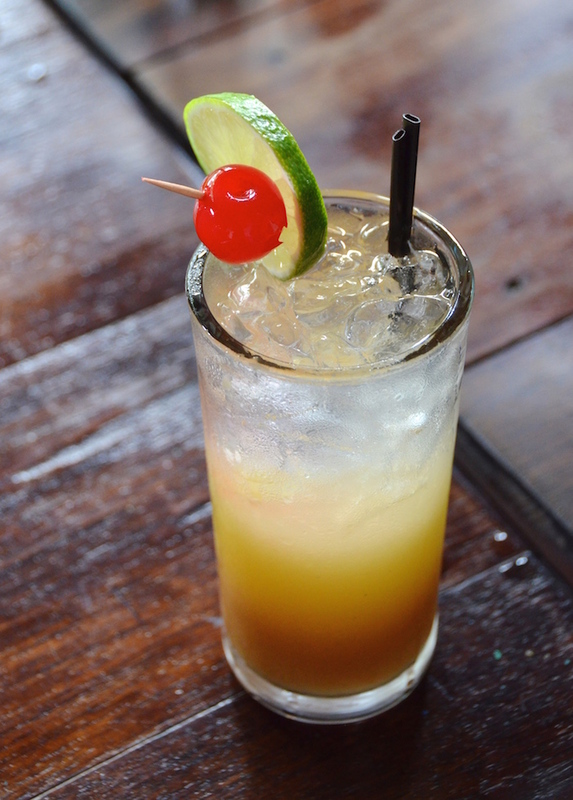 Noted as the national drink of Nicaragua, the fruity tropical cocktail is named after the equally bright and lovely parrot, which is native to Central America (a Macaw, in English). A simple mix of fresh lime juice, guava juice, and rum (preferably the local favorite, Flor de Caña), the drink is a not-too-sweet welcome to this gorgeous Central American country. I was there to learn how to surf along with a group of other US-based travel writers and bloggers, and we were in the process of traveling from the airport in Managua to the beach city of San Juan del Sur where the surf retreat we attended (CHICABRAVA) is headquartered. We stopped off for lunch and pictures in the lush courtyard of a cute restaurant in Granada, a welcome respite after a day spent traveling by plane and car. With my own tropical roots, guava has long been one of my favorite fruits, and the flavor is one that always wakes up sweet memories of afternoons on my grandmother's balcony in Puerto Rico sipping cold fruit juice, or the fruity pastries and custards we grew up eating. If you're lucky enough to make your own guava puree from fresh fruit, well then I'm insanely jealous of your good fortune! Combine rum, guava juice, and lime juice in a cocktail shaker. Fill with ice, cover and shake until shaker is frosty. Fill a tall cocktail glass with ice and strain in drink. Garnish with a cherry and slice of lime, and serve.